In Blade Runner, in the dystopian near future, replicants, androids that look exactly like humans become illegal on Earth and it is up to a group known as Blade Runners to hunt them down. Los Angeles 2019, Rick Deckard (Harrison Ford) is a Blade Runner that seems to have seen it all. He is given a job to hunt down a group of rogue replicants that need to be “retired”. We learn that replicants, who are implanted with memories and totally indistinguishable from humans except for their emotions, have a four year lifespan but the ones here illegally are seen as a threat. I realize that isn’t a very good summary of the film for those who have seen it, this is a movie that simply needs to be watched to be fully appreciated. For some reason, even though I have seen Blade Runner several times over the years, I remember next to nothing about it each time I watch it. The positive side of that is that each time I watch it it’s almost entirely new to me and I can appreciate it but the downside is I don’t appreciate until it’s fresh in my memory again. Hailed by many as the best sci-fi film ever made, it was not originally a success. The world created for the film is indeed spectacular. It’s scary to think that it takes place just 7 years in the future (where are our flying cars, huh future?) but the atmosphere is great. Harrison Ford gives an amazing performance along with the entire cast. Currently, the Blu-Ray out has multiple versions of the film spanning several discs. It’s a large set that isn’t very expensive but it absolutely chock full of Blade Runner goodness. 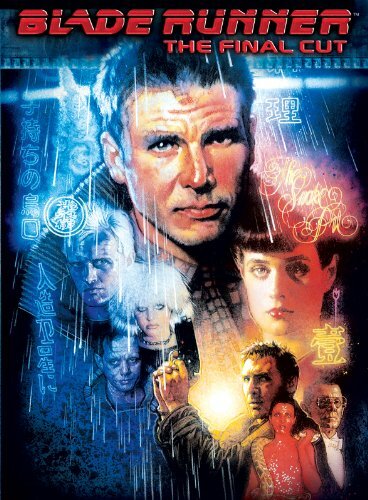 I highly recommend it, even if you haven’t seen Blade Runner before. I watched the “final cut”, whatever that means but since I have memory lapse on the film in general, I couldn’t outline the differences so Wikipedia to the rescue! While I wouldn’t say that Blade Runner has the best story, what it does have is a great universe created and great production values. I wanted to watch Ridley Scott’s older work to glean any information on how I thought Prometheus might hold up 30 years later and I think history will be kind on Prometheus but not as kind as it has been to Blade Runner. I give it 4 LA eyeball reflections out of 5. Thinking they have found a link to the creation of mankind, a team led by two scientists goes off in search of life in Prometheus. When a team of scientists, Dr. Elizabeth Shaw (Noomi Rapace) and Dr. Charlie Holloway (Logan Marshall-Green) discover a series of orbs in the same pattern across thousands of years and several continents. Thinking this is not a coincidence, they set out to the star system that matches the glyphs on a trip to meet our Engineers funded by Weyland Corporation (Weyland played by Guy Pearce). Aboard the ship, dubbed Prometheus, we meet the crew including android David (Michael Fassbender). The team investigates a set of ruins and comes face to face with the remains of the Engineers and discover life. By now, everyone who has seen Prometheus is firmly entrenched in their opinion of the film, whether they loved it or were disappointed. After coming out of the theater on opening weekend I was unsure how I felt about Prometheus. There were parts I loved, there were parts I thought were a bit silly, but one thing was certain: I had a million questions. Perhaps that is the film’s biggest flaw, one that can be attributed to writer Damon Lindelof. While I certainly didn’t expect answers to the creation of man, I did expect *something*. I think perhaps some of the disappointment was because Prometheus is a precursor to the Alien series and people wanted that origin story. What we got ended up being the precursor to life as we know it so I think it makes sense for a film not to give us all the answers we seek and I can appreciate that it would create more questions for us in the process. Having said that, I do hope Prometheus is its own series of films because otherwise it will have left me entirely unfulfilled. Regardless of funky plotlines, the special effects are simply amazing. The world created here is much different than Alien but it feels familiar enough. If I had to criticize Prometheus for just one thing it would be the characters. While the actors themselves are all splendid, especially Rapace, the supporting cast is stereotypical or just barely there. I never got a chance to care for any of them (except Shaw) almost to the point of frustration that the film tries to make us care. Perhaps Lindelof needs the runway of a TV series to really take flight and get his ideas across? 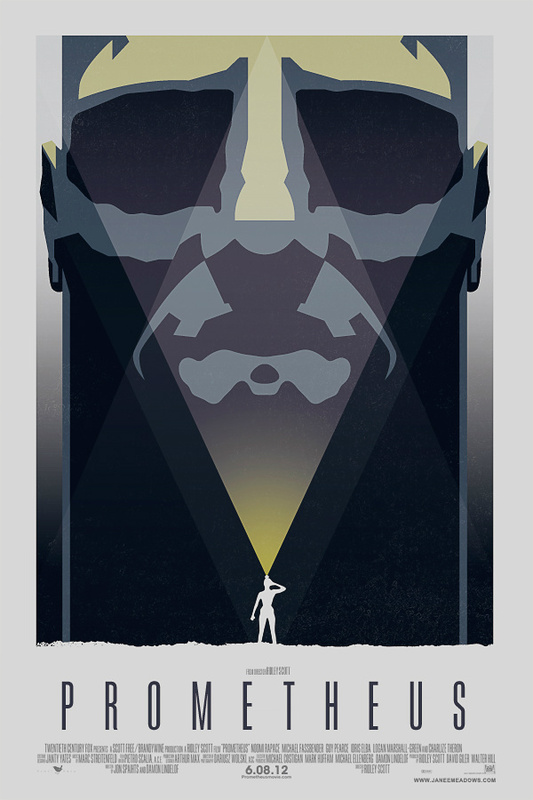 As a standalone film, Prometheus struggles to be a classic. It has moments of awesomeness and it also has sci-fi pitfalls and mediocrity. When viewed along the lines as an Alien prequel, it struggles as well but for different reasons. This is not a film like Alien, it is much different. I struggled coming up with a rating for Prometheus because the more I thought about it, and I thought about it a LOT, the more I waffled on it. At times I would give it a 3/5 and other times, even hours later, I would say it’s a 5/5 movie. In the end, I give it 4 crying Davids out of 5. I watched Prometheus again on blu-ray and was blown away by the presentation. As far as blu-rays go, it’s one of the nicest ones ever produced from what I’ve seen. I have yet to go through all the special features, but the few I watched were very eye-opening so I look forward to seeing what else is in store. After a second viewing, I am less inclined to believe that Prometheus has any glaring plot holes; yes, there are parts with all too convenient writing, and other parts are quite nebulous but that is fiction, people. Prometheus should not be a movie that explains everything, especially when the point is the creation of life itself. Too much explanation would make for a fumbling movie and Prometheus deftly skirts these issues at times and if it seems like it is tackling something head-on, it drops off just short of giving everything away.Obviously many folks saw this as poor writing and I can certainly see how it’s frustrating to expect answers and not get them. I see it as a puzzle and the movie lays out most of the edge pieces for us but leaves many pieces with the face side down for us to flip over ourselves, or at least theorize what piece goes where. I appreciated Prometheus much more after a second viewing and I urge the people that doubted it to view it again. The 3D blu-ray package is worth buying for the special features alone, even if you don’t own a 3D player/TV because there is a full disc in this version not found on the regular blu-ray set. Will the special features answer everything? Not likely – but as I said, they shouldn’t answer everything. 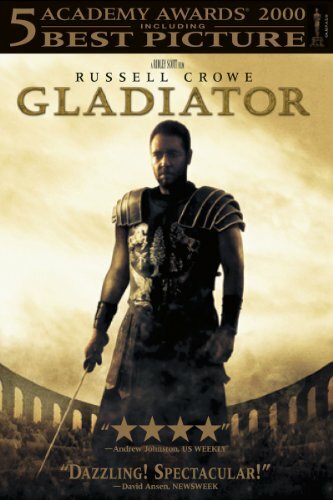 Very few films these days could be aptly called “epics”, but Ridley Scott’s Gladiator surely fits that bill. From the title alone, you know Gladiator will provide some great arena battles but it has a much deeper story than just a vehicle progressing from one battle to the next. First, Gladiator is a story of revenge. Great Roman general, Maximus (Russell Crowe), is set to be placed into power by Emperor Marcus Aurelius (Richard Harris). Upon learning this, the Emperor’s son, Commodus (Joaquin Phoenix), murders Aurelius and takes control of Rome. Maximus knows the truth, but Commodus orders the murder of his family and Maximus winds up as a slave to fight in the arena as a gladiator. The acting is brilliant, and the roles are perfectly cast. I never once doubted that Crowe could actually do some of the things Maximus does and Phoenix plays a sniveling coward of an Emperor spot-on. The sets and landscapes are breathtaking, the colors are vivid and intense, and the action will keep you on the edge of your seat. Gladiator’s closest kin now is the Showtime Spartacus series which seems more intent on being 300 than anything else. Gladiator has taken great lengths to feel true to history, despite being fictionalized history. It has more in common with Spartacus (the 1960 Stanley Kubrick/Kirk Douglas outing) or Ben-Hur which is refreshing. Despite its length (about 150 minutes) it doesn’t drag nor overstay its welcome. Gladiator is a film that deserves its Academy Award for Best Picture. I give it 5 tiger battles out of 5.